(1) Students will have to arrive on the Sunday 16th August and leave on the Saturday 29th August 2009. 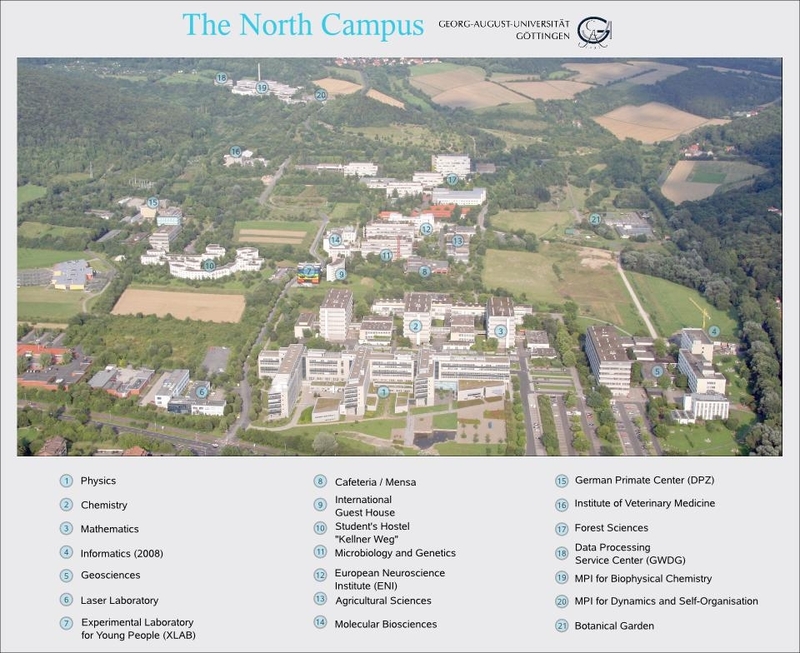 The School is open to postgraduate students and research workers with a few years' experience in elementary particle physics, in computing or in related fields. The number of participants will be limited to 70 Applicants may come from CERN Member States as well as from countries that are not Member States of CERN. 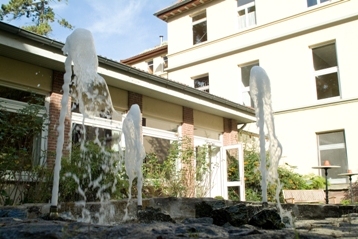 Accommodation Participants will be accommodated in Mariaspring situated in the town of Bovenden, ~6km from G?ttingen. They will be lodged in a double (that is, they will share the double room with a schoolmate) with shower and WC on the floor (not in the room). A few rooms with private bathrooms will be available. For such rooms, an extra charge of The charge of 50 Euros will be added to the total fee of the school. Participants should reach Mariaspring hotel in Bovenden for on-site registration during the afternoon or early evening of Sunday, 16th August 2009. 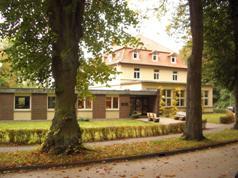 Registration will take place at the reception of Mariaspring hotel in Bovenden from 14:00 to 20:00. Participants should note that lunch on the day of arrival (Sunday 16th August 2009) is not provided, but the dinner is. The School will end on the morning of Saturday 29th August 2009, after breakfast. The easiest way of getting to G?ttingen is to fly to Frankfurt airport and then take the train to G?ttingen, but you can also fly to Hanover and then take a train to G?ttingen. Duration approximately 2h30 and cost ~60 euros, one way. 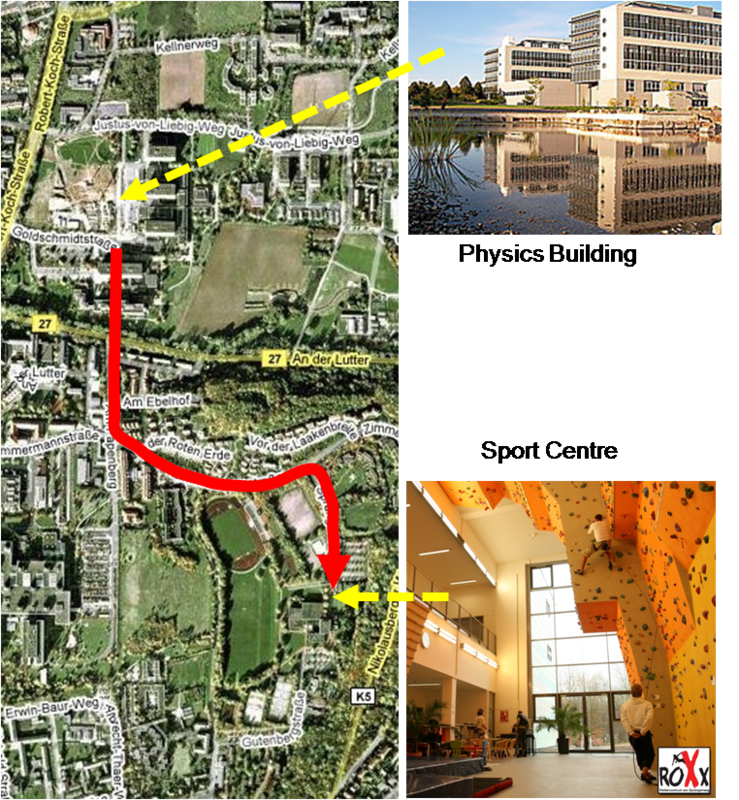 The Frankfurt airport is located at 240 km from G?ttingen and 245 km from Mariaspring in Bovenden. The train station (Bovenden Rathaus) is situated at 200m from Mariaspring, however we will suggest you to stop at G?ttingen. A CSC shuttle service is organized Sunday 16 August from the G?ttingen Train Station to the Mariaspring guest House from 14:00 until 19:15. Meeting point: Information point near the Deutsche Bahn service point (follow the signs into that direction or in direction of the town centre, ?Zentrum?). Look for a CSC panel. Note: The shuttles will not operate on a fix-schedule basis, but will leave when enough participants have arrived. The regular fee of the School is 1000 Euros per participant. 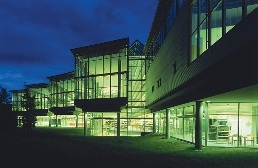 Lunches, two daily coffee breaks at G?ttingen University and dinners, accommodation in Mariaspring in Bovenden; and from the dinner on Sunday, 16th August to the breakfast on Saturday, 29th August 2009. All organized social activities, of which details will be given at a later time.. Participants are warned that all diners will have a common, buffet-style, menu. There will be no a-la-carte facility. It will not be possible to accommodate special dietary restrictions. 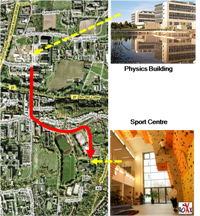 The fee does not include travel expenses from the participants' working place to Mariaspring in Bovenden -G?ttingen University and back. Participants arriving before Sunday evening 16th of August or leaving after Saturday 29th of August will be entirely on their own: the school will neither arrange for their accommodation nor will cover any cost associated to their extended stay. Any extra cost incurred during the stay (including private excursions, private expenses at hotel, private transport costs, private meals, ...) will not be borne by the school organization. The total fee (1000 or 1050 Euros for the other participants) should be paid prior to the school as follows: into the following account upon receipt of the letter of acceptance. The actual expenses per student exceed the total fee of 1000 Euros requested to participants. The difference between the actual cost and the total fee is borne by the school organization. Academic participants are therefore subsidized, and complete assiduity to the entire scientific programme is mandatory. Candidates should ensure that not only have they completed the Web Application Form, but that a signed formal letter of reference (on formal headed paper from the applicant's institute/organization) from their professor or supervisor, reaches the School Administrator (Mrs Fabienne Baud-Lavigne) by 4th of May 2009 at the latest. In addition, a certification form (PDF version | Word version ) must be filled in and signed by the applicant's professor or supervisor (and not by the applicant) and returned to Mrs. Fabienne Baud-Lavigne by 04th of May 2009 (Last minute: Registration deadline postponed by 2 weeks, to the May 16th). The selection of the participants will be made by the Advisory Committee and participants will be informed of the outcome of their application by the beginning of June 2009.